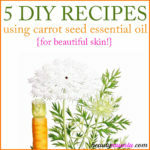 5 Carrot Seed Essential Oil Recipes for Hair - beautymunsta - free natural beauty hacks and more! 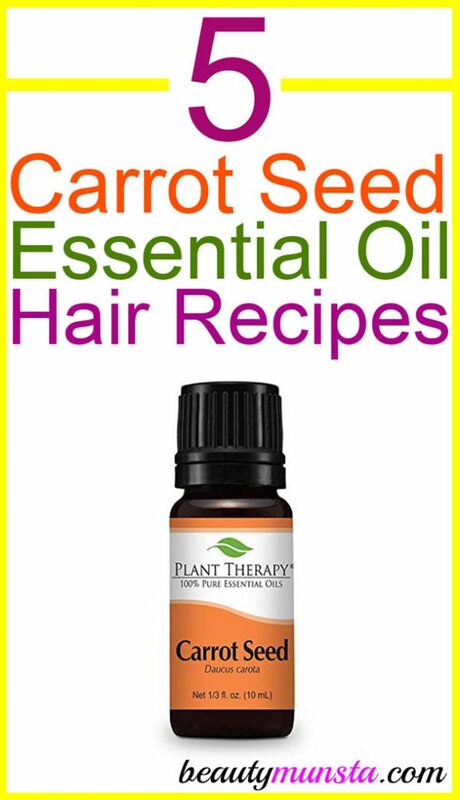 Ready to try these carrot seed essential oil recipes for hair?! 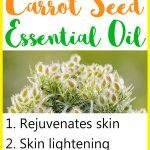 I know I’ve raved about the skin care and anti-aging powers of carrot seed essential oil but wait till you witness its wonderful hair benefits! Read on! Note: Before using carrot seed essential oil, ensure you’re not allergic to it by carrying out a patch test. Simply mix 1 drop of carrot seed essential oil into 1 tsp of vegetable oil and apply it on your inner wrist. Leave it on for 20-60 minutes. If there’s no irritation, then yay! Go ahead and use it! Using a small funnel, pour 1 tbsp each of avocado and jojoba oils into an amber glass dropper bottle. Next, add 1 tsp of sea buckthorn oil. Remove the funnel and carefully add 5 drops of carrot seed essential oil and 7 drops jasmine essential oil. Cap the bottle tightly then roll it between your palms to evenly blend all oils together. Apply 5-6 drops of this blend along the length of your hair after a shower: on freshly washed hair that’s damp or even before a shower as a pre-poo oil. Into a high speed blender, add ¼ cup of coconut oil, ¼ cup of aloe vera gel and ¼ cup of thick unflavored unsweetened yogurt. Next add the essential oils. Blend for a few seconds till you get a well combined white mixture. Pour the mixture into a mason jar or air tight jar of choice. Store in the refrigerator. To use, scoop up 1 tbsp into a small bowl and take it to the shower with you. Apply it along the length of your hair for 2 minutes then rinse off well with tepid water. You can also apply it as a conditioning hair mask on dry hair 40 minutes before rinsing it and washing off with shampoo. 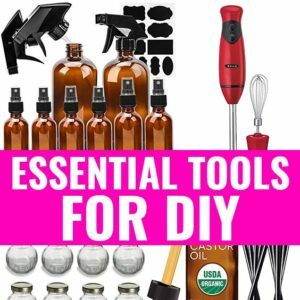 Into an old shampoo bottle or applicator bottle, pour ½ cup distilled water and ¼ cup liquid castile soap. Next add 1 tsp vegetable glycerin and 1 tsp jojoba oil then 10 drops carrot seed essential oil and 10 drops lavender essential oil. Close the bottle and shake gently to combine the ingredients together. Use in place of your usual shampoo. Make sure not to get tap water into it. Place 1 tbsp of coconut oil and 1 tbsp of jojoba oil in a small glass bowl. Place the glass bowl into a large pan filled with 2 inches of hot water. Next carefully put the glass bowl into the pan, making sure no water enters the bowl. Let the oil blend gently heat up until warm to the touch. Remove the glass bowl and stir in the essential oils. Apply the oil all over your scalp and hair with a spoon. Take 2 minutes to massage it in deep then tie your hair up and cover with a shower cap. Leave your hair in the shower cap for 1-2 hours then wash off with a natural sulfate-free shampoo. You can shampoo twice if you need to, to remove all the oils. Brew 3 cups of green tea using 3 green tea bags. Simply steep 3 green tea bags in a Pyrex measuring cup containing 3 cups of boiling water for 20 minutes. Then discard the green tea bags and let the green tea completely cool down. Add the essential oils then stir well. Use as your final hair rinse in the shower. 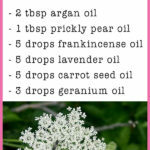 Which of the above carrot seed essential oil recipes for hair are you interested in trying out? 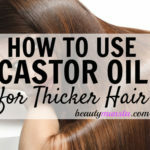 What Does Castor Oil Do for Hair?